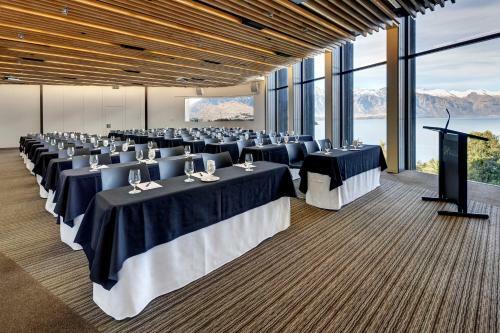 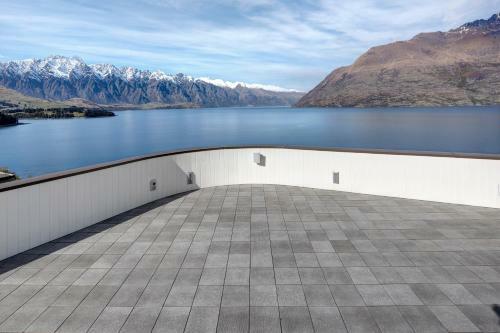 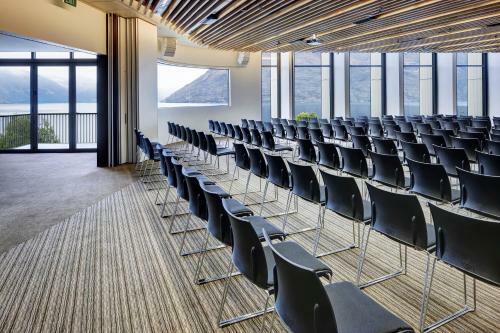 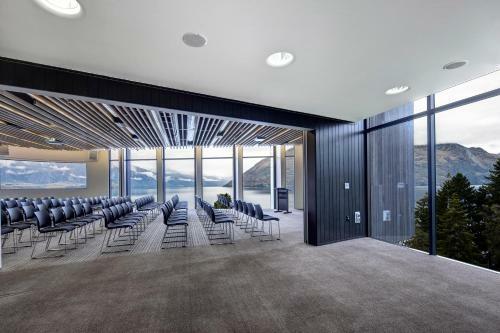 Boasting stunning views over Lake Wakatipu and Queenstown this friendly hotel is located just outside the lively town centre. 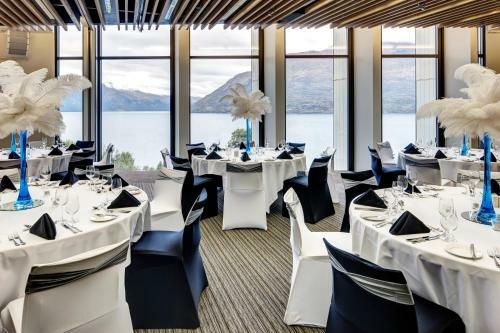 It features a heated indoor/outdoor swimming pool and an elegant restaurant. 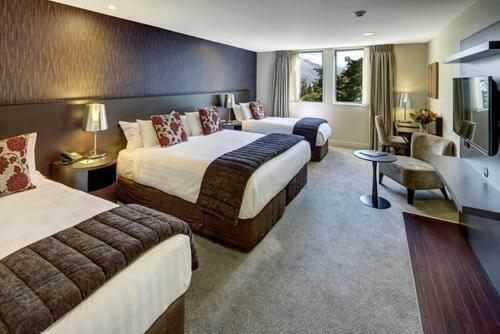 Guests enjoy 2GB of free WiFi per night. 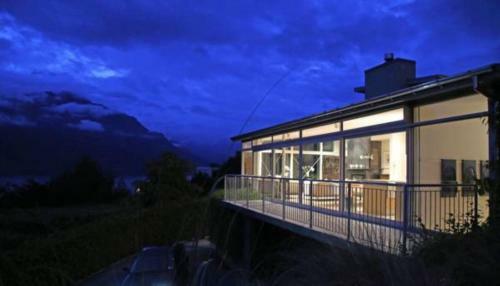 Heritage Queenstown offers modern alpine-style accommodation in peaceful scenic surroundings. 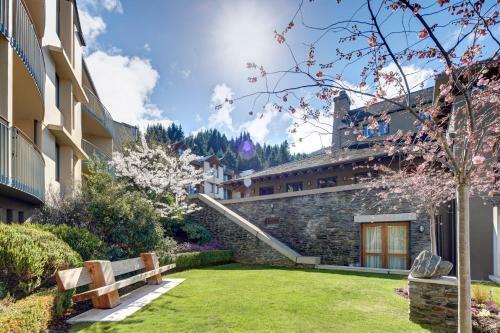 In a typical mountain style the buildings are made from centuries-old schist stone and cedar wood. 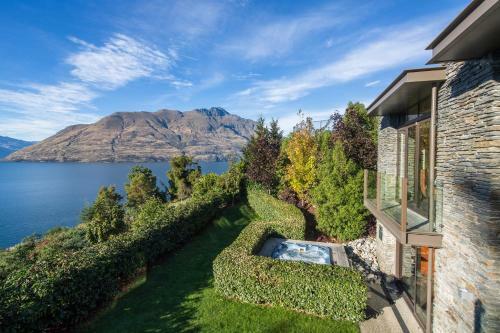 The property is 20 minutes' walk from the centre of Queenstown and a 10-minute drive from Shotover River. 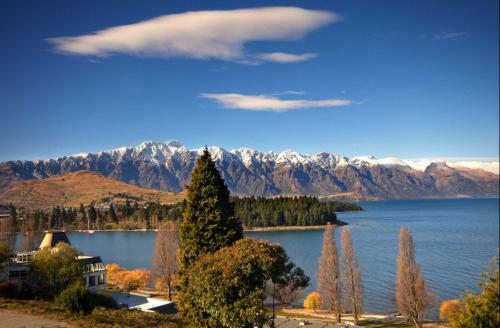 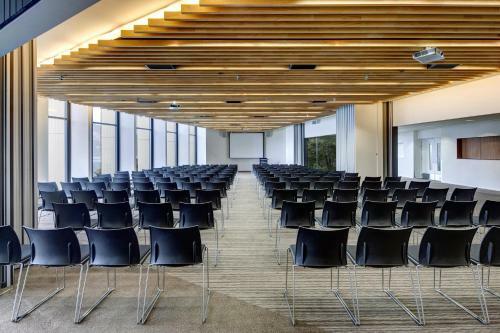 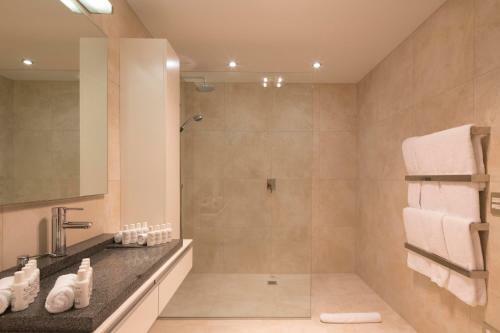 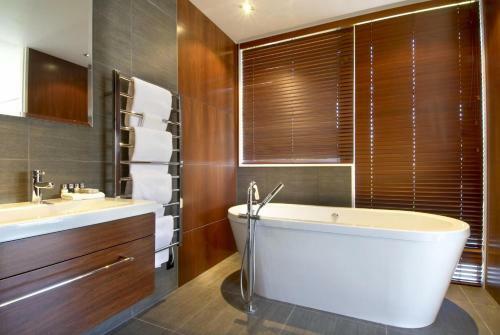 It is 13 minutes' drive from Queenstown International Airport. 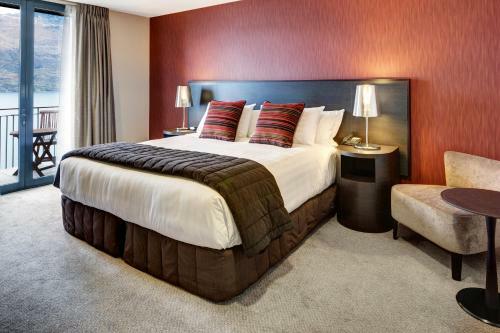 Accommodation choices include hotel rooms apartments and large open-plan studio suites.